I like all kinds of veggies, does this sound weird??? Most people I have met have a list of veggies that they dislike. I tend to appreciate and like the different flavor and taste each veggies have. However, I am partial towards some veggies, Okra is one among them. 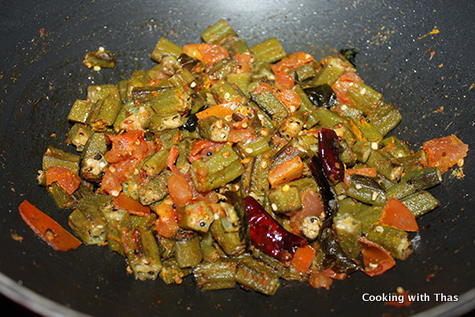 Some of the common okra dishes in Kerala cuisine are okra thoran or okra stir fry with coconut, okra pachadi/kichadi, okra theeyal, okra pulikari or okra in tamarind sauce. All of these dishes are dear to me and I even add okra to some of the chicken dishes. 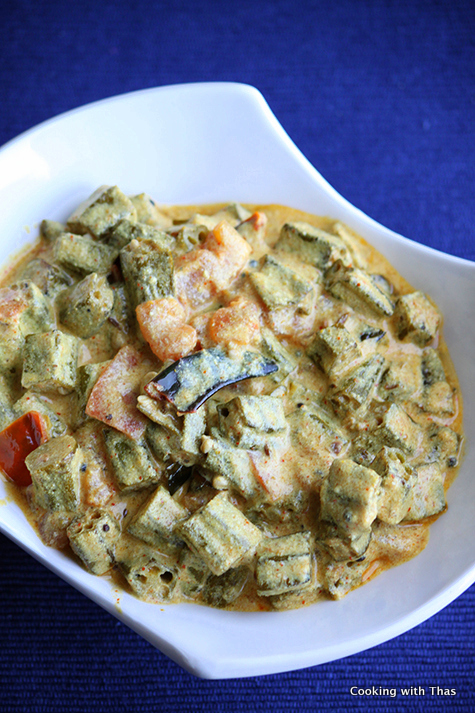 One of my favorite okra dishes is okra kichadi, fried okra combined with beaten yogurt. In fact, this is my Man’s favorite veggie dish too. The other day, while getting ready to make okra kichadi, I had a second thought and wanted to give a little twist to the usual okra kichadi. I did make a twist and came up with this dish. I made okra masala and added the beaten yogurt to that. 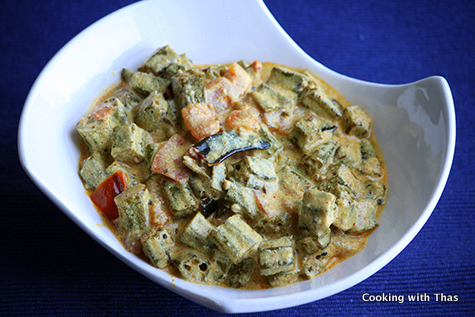 Loved this dish, okra masala made this dish taste flavorful and the yogurt imparted slightly sour taste. Cut the okra into 1 inch rounds, keep aside. Place a non-stick pan over medium heat, add oil. Let it turn hot. Add mustards seeds, let it splutter. Add cumin seeds, dry red chili and curry leaves, saute for a second. Add chopped tomatoes, saute till slightly cooked. Add okra, saute till it's no longer sticky. If it's getting dry add 1 or 2 tbsp water and keep sautéing. Let the okra turn slightly browned. Add chili powder, turmeric powder, coriander powder, garam masala and enough salt. Combine well. Turn off the heat and keep the pan on the stove. Beat the yogurt well using a whisk. 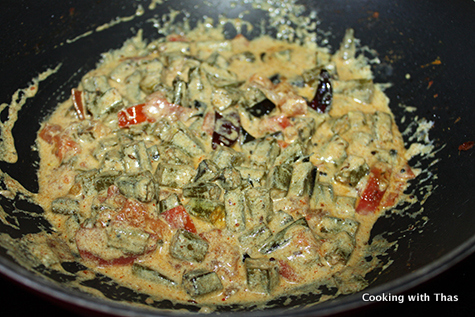 Add the beaten yogurt to the okra masala and combine well. Do not heat the yogurt, it will curdle. Once the yogurt has mixed well with the masala, remove the pan from the stove. Keep covered for a few minutes. 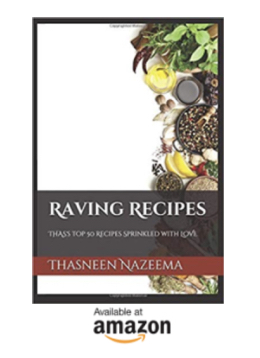 Serve as a side dish along with rice or roti.